Good as they were, MUD did not record and perform on their own. Like every other band or performer there were numerous other people working for and alongside them to ensure that all went according to some sort of plan. Listed below are details of individuals or groups/companies who were involved in the story of Mud. As always, if you know of any other names (maybe you are one of them) or can add details to what I have sketched out, please get in touch). Margo joined the band around February 1979 after Les Gray’s departure in December 1978. All that exists from this period are the two singles (one under the name Ring), a live bootleg and some demos. Margo is one of the UKs leading backroom vocal talents, having worked with the likes of David Gilmour, Tina Turner Joni Mitchell, Eric Clapton, Van Morrison, James Blunt, KT Tunstall, and countless others. Margo has been gigging from 15, turned down The Specials when asked to dye her hair blonde (the only job she regrets saying “no” to), refused MCA attempts to market her as the girl with the red guitar in the eighties and has subsequently played with some of the biggest and best in the business. Andy worked as keyboard player with Mud during their time on the Private Stock label (1975-77). He co-wrote Blagging Boogie Blues on It’s Better Than Working. Before working with Mud Andy was a member of the band Candlewick Green. They won the TV talent show Opportunity Knocks and had a minor hit with the song “Who Do You Think You Are?” in spring 1974. Brian took over from Andy Ball as keyboard player in 1978, playing on both RCA albums. He wrote and sang lead vocals on Heaven Was Meant For You and sang lead vocals on Dream Lover and Why Do Fools Fall In Love (As You Like It). Nicky Chinn originally trained as a motor mechanic and only took to music when he was in his mid-twenties. Mike Chapman was born in Queensland, Australia. He moved to Britain where he became a member of the group Tangerine Peel and in 1970 met Nicky Chinn while working as a waiter at a London hotel. The pair struck up a songwriting partnership and were hired by producer Mickie Most as in-house writers and producers for his new RAK Records label. 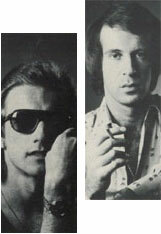 The team produced all of Mud’s recordings for RAK (1973-75), writting 9 of their 11 singles. Chinn and Chapman were also responsible for writing hits for Sweet, Suzi Quatro, Racey and Smokie. By the 1980s Mike had carved out a solo career as a producer, working on albums for Pat Benatar, Blondie and The Knack. Chinn and Chapman started their own label - Dreamland - in 1979, but it folded in 1981. The duo’s last hit was Toni Basil’s “Mickey,” which toped the charts in 1982. They gradually separated during the early 1980s, and Chinn himself did not continue in the music business. Chapman remained in demand through the ’80s and ’90s as a songwriter and producer. His compositions have included Tina Turner&rsquuo;s “(Simply) The Best” and Pat Benatar’s “Love Is A Battlefield” (both co-written with Holly Knight), while he has produced albums for Altered Images, Agnetha Fältskog, Divinyls, Rod Stewart, Lita Ford, Pat Benatar and Bow Wow Wow. In 2006 he wrote “Back To The Drive”, the title track for the Suzi Quatro album. Produced the album It’s Better Than Working, and the singles Shake It Down and Lean On Me. Co-wrote the tracks Sweet And Sour Lady and Vambo Rools. Born October 7, 1947, in Hillingdon, Middlesex. He started his musical career as guitarist for The Fantastics and Jimmy James and the Vagabonds. Progressing from performer to session player in the early 1970s under the patronage of Sweet producer Phil Wainman, he became one of the most in-demand session guitarists of the era, playing on early hit records for Sweet and Mud. He moved into production in the late 1970s and is probably best remembered for his work with Status Quo. Produced the album Use Your Imagination and co-wrote the tracks Use Your Imagination, She’s Got The Devil In Her Eyes and 43792 (I’m Bustin’ You). Other artists produced by Phil include Sweet, Bay City Rollers, Sensational Alex Harvey Band and the Boomtown Rats. Ellie Hope sang backing vocals on the Mud Rock II album tracks, Hula Love and Oh Boy. She released a couple of solo singles (including the Stile/Davis track My Love Is Your Love) before joining the band Liquid Gold in 1977. Other members of the band included Syd Twynham and Wally Rothe who later played with Les Gray’s Mud. Liquid Gold consisted of Wally Rothe (drums), Ray Knott (bass), Syd Twynham (lead guitar) and Ellie Hope (vocals). Ray met Ellie in 1976 when both auditioned as replacements for Babe Ruth. Babe Ruth had four albums between 1972-1975. Ray and Ellie contributed to Babe Ruth's last album "Kid Stuff," before it disbanded. Ray and Ellie then recruited Syd and Wally to form the Dream Coupe. The four played local bars and pubs doing mainly cover tunes while continuing to write there own material and seeking out a recording contract. Producer Adrian Baker happened to catch the group and was so intrigued by Ellie's vocals that he signed the group to Creole records and a one year contract. When Liquid Gold released, "Dance Yourself Dizzy" in January 1980 it became their biggest hit, pushing them into the forefront of the pop/disco world. Syd Twynham is currently touring as part of the tribute Mud II. In 1974 he joined the band Hector. Despite plenty of air play and extensive touring in the UK and Europe, the band failed to make and real headway, releasing just two singles. In 1976 Syd joined with former Babe Ruth members Ellie Hope and Ray Knott to form Liquid Gold who went on to achieve world wide chart success with a string of hits. It was during this time that Syd first met MUD but it was not until 1987 that Syd joined Les Gray with fellow Liquid Gold member Wally Rothe on drums and bassist John Berry, to form Les Gray's Mud. After Les’ death in February 2004, Syd and keyboard player Chris Savage went on to form MUD II who continue to tour. Short biographies of Rob, Ray, Dave and Les. This website is a tribute to the band MUD but has no official links to the band or it’s members. Any opinions expressed are mine alone and do not reflect the opinions of any members of the band or their management.